Our mission is to help each and every one to have healthy skin, every day, so we research and develop gentle formulations that can help you keep it in perfect condition. Skin is your body’s largest organ and it works very hard. It performs a number of essential functions and works as a natural barrier to keep you protected from outside aggressions. Keeping your skin healthy means using gentle products that respect its natural protective barrier. 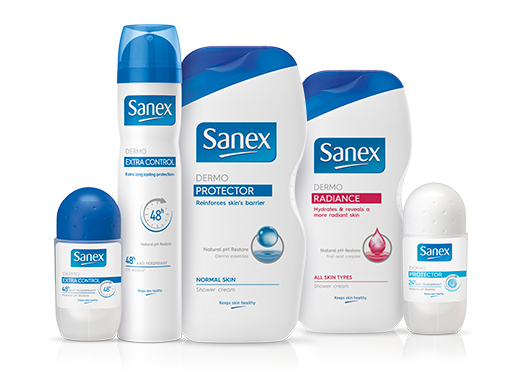 Discover the Sanex range of shower gels, anti-perspirants and body lotions. A full range of products to help keep your skin healthy. Sanex shower gels and anti-perspirants give your skin the daily care it deserves to keep it in optimal condition. Sometimes, less is more. Sanex believes in eliminating unnecessary chemicals and using natural ingredients. In the Zero% range we have reduced the unnecessary chemical ingredients and NaturProtect deodorants work with a mineral called Alum for 24-hours of protection. Men’s skin is different from women’s skin. 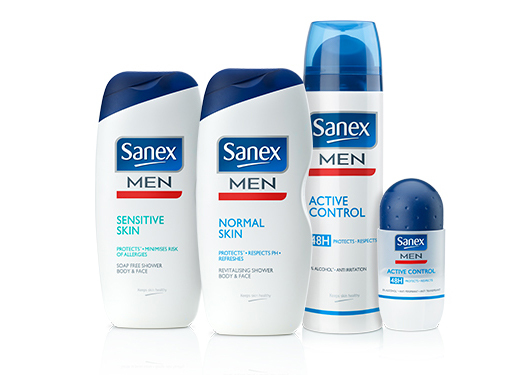 The Sanex Men range is especially formulated to give it the care that it needs. 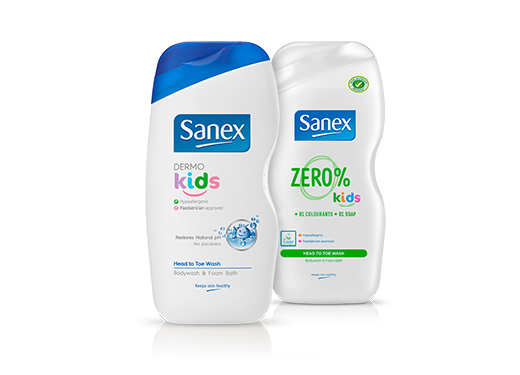 Sanex Kids is a top-to-toe wash that cleanses, moisturises and protects young skin leaving it healthy, hydrated and soft. Approved by paediatricians and loved by little ones – for easy, bubbly bath times that won’t dry out their skin.